Training - Once you have purchased a Mecmesin crimp tester one of our technical sales engineers or a Mecmesin representative will visit you to install the product and train your personnel to use the product effectively for your application testing needs. Calibration, Service and Repair - Offering our customers the highest level of ongoing support and after sales service is Mecmesin's priority. Our calibration services ensure you can use Mecmesin products to obtain the accurate test results you need. We can undertake an on-site verification service at your premises, saving you both time and money, or, alternatively, can perform a comprehensive calibration service at our headquarters in the UK. If you have a sample that cannot be accomodated with one of our standard grips or fixtures, our expert-in-house engineering team can design bespoke and innovative grips and fixtures to your exact requirements, assuring axial alignment, secure holding and minimal deformation. 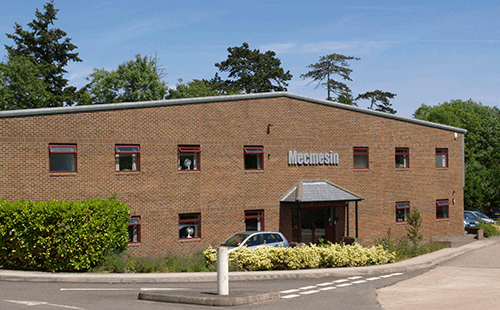 Founded in 1977 by Jim Oakley, an accomplished design engineer, Mecmesin remains a privately owned company. From our base in Slinfold, West Sussex, United Kingdom we have expanded globally with regional offices in the United States, China, Thailand, Germany and France. In addition our global network of distributors in more than 50 countries are able to provide local technical expertise and after-sales support to customers. Our focus has always been the provision of high quality test solutions as an affordable alternative to the expensive systems available. This enables small and large businesses alike to undertake quality control tests on their products without compromising on precision and accuracy. The rugged design of our systems means that they can withstand tough factory conditions. Tests can be performed at the point of production rather than having to use expensive laboratories to ensure consistent manufacture.